Leonard Case (1786-1864), a businessman and prominent early Clevelander, moved to the city in 1816 and built this house shortly after, at the corner of Rockwell Avenue and East 3rd Street. 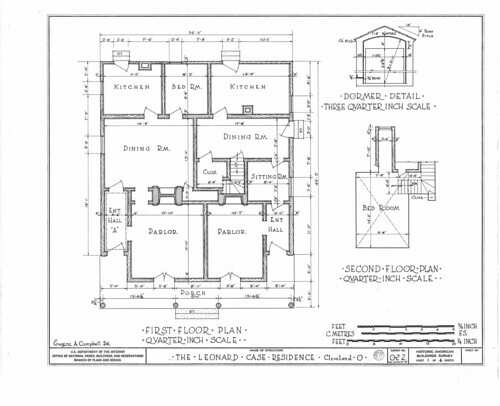 These drawings were made in 1933 as part of the Historic American Building Survey (HABS). 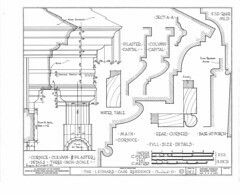 HABS was a federal program created to document historic buildings and structures and to put to work unemployed architects and photographers. The meticulous measured drawings and photographs that came as a result are a true treasure. The Case Homestead at Rockwell Avenue and East 3rd Street was sold at public auction to Attorney Charles E. Chadman for $340. It was moved from this site to a new location at 1295 East 20th Street. 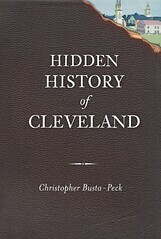 At the time the Case home was built the total population in Cleveland was between 1000 and 1500. This home as one can readily understand from the size of the population was built by one of the very early settlers and consequently is of considerable historic value. 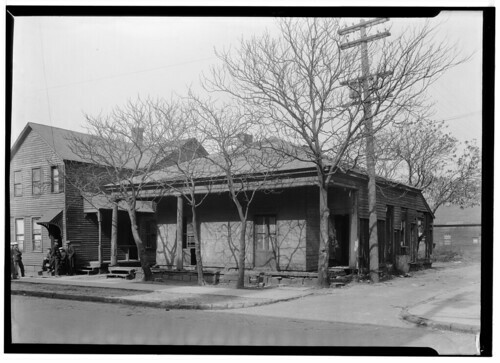 East 20th Street at the time of the removal of the house was considered "quite a ways out", and a select residential district; today, however, this territory is considered a "slum area". 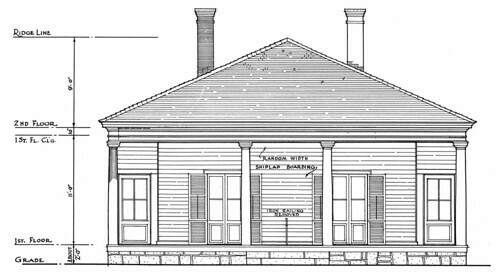 The house has served various purposes since its removal, one of the last uses was that of a restaurant. The members of the Historical Building Survey Squad who measured the building, did so in the nick of time, in that but a few days after completing the survey, the building began to disappear, as will be noted from the photographs. This destruction was in all probability the work of vandals or possibly people who were in dire circumstances and in need of fuel. 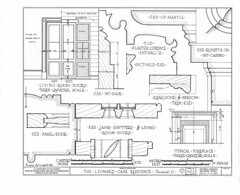 In addition to floorplans, the drawings include the various mouldings and bits of trim. It is not clear exactly when the house was moved to the location on E. 20th Street. It is shown at that location in the 1881 Hopkins atlas and the 1886 Sanborn fire insurance atlas, so it was obviously moved before that date. The site on East 20th Street is now surface parking.